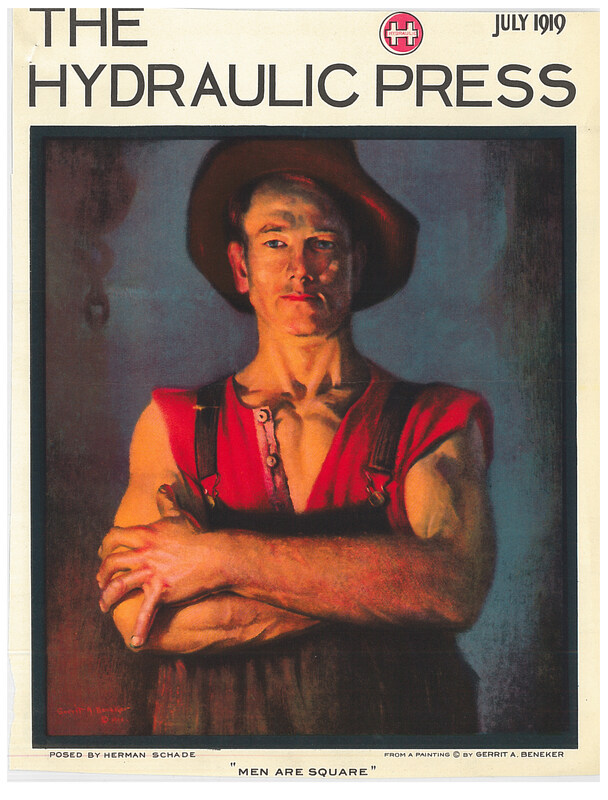 One of the artists highlighted is Gerrit Albertus Beneker (1882-1934), popular for his portraits of industrial workers and for his posters designed to drum up war effort during World War I. 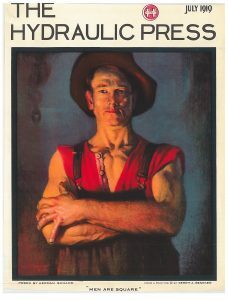 The Corcoran file had pristine examples of his posters and trade catalog covers he designed for the Hydraulic Pressed Steel Company in Cleveland, Ohio. 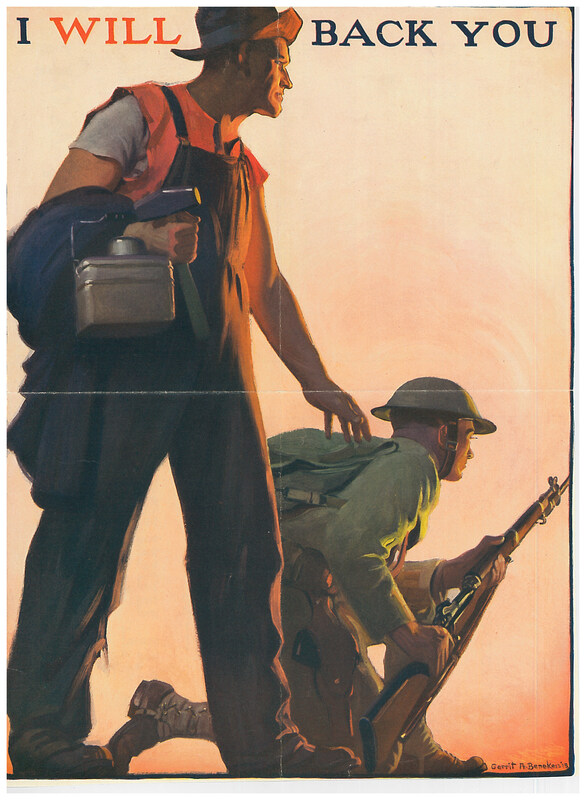 Several of the trade catalogs are in trade literature collection at the American History Museum Library. Also, the Archives of American Art, which is directly across the hall from the American Art and Portrait Gallery Library, has Beneker’s papers if you are interested in further research about Beneker and his career. A lesser known but locally grown artist named Minnie Barz was also included. Barz was a Maryland artist who studied at the Corcoran in 1944. Her file contained letters and small colorful paintings she sent to the Corcoran as well as a local Maryland newspaper article that detailed her career, which included sculpting as well as painting. We had no ephemera about Barz previously, so we were delighted to add a new artist to our files and increase our materials on previous Corcoran students. 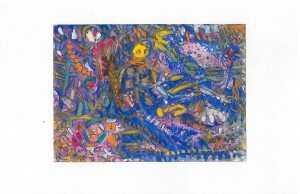 This is a small abstract painting sent to the Corcoran by Minnie Barz. The fact that none of the materials on view were items that we had in our own Art and Artists Files emphasizes how important donations can be in developing an ephemera collection. The Library has always worked diligently to collect as much relevant ephemera as possible but it’s difficult to catch everything, especially when ephemera items were not created to last. Donations such as the Corcoran Vertical Files help us to fill holes in our collection that we wouldn’t be able to otherwise. If you haven’t been able to see the Bs of the Corcoran Files you still have time! They will be on view at the entrance of the AA/PG Library until the 2nd of September when we will install our highlights of the Cs. The AA/PG Library is located at Victor Building Ste. 2100, 750 9th Street NW, Washington, DC and is open to the public from 10am-5pm, no appointment necessary. *If you missed the As no worries! We keep track of who and what we showed. I had the pleasure of meeting Minnie Barz at her home. She gave me a tour of her house inside and outside–full of so much of her life in art. I bought some of her art and wish I had bought more. 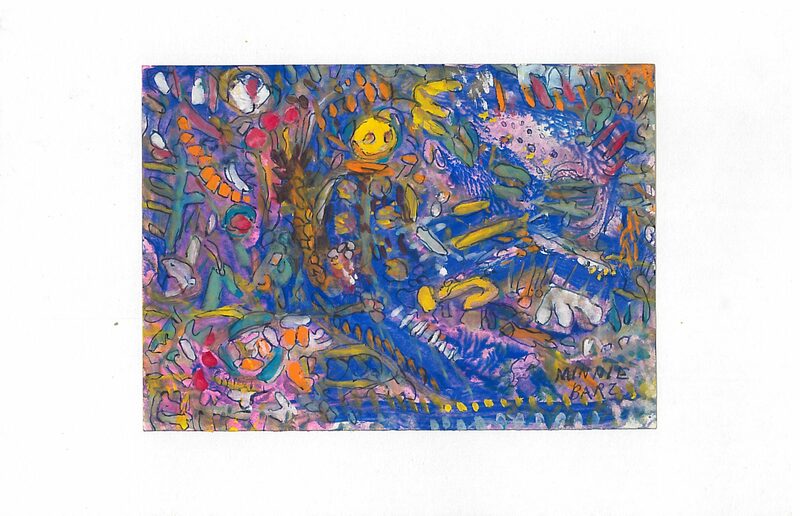 Some of her paintings were done on the back sides of greeting cards! Her gardens were full of unique sculptures she created. I wish I had brought a camera with me to capture the time I spent with her.